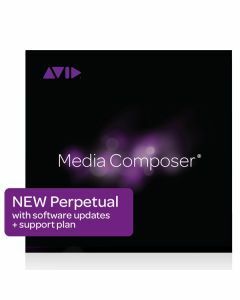 Avid Media Composer is the media and entertainment industry’s most used video editing software, accelerating high-res, HDR, and HD workflows. With tons of great new features, experience the thrill of inspired storytelling with tools that empower you to create the best story possible. Got a story to tell? There’s a Media Composer for everyone. Get started for free with Media Composer | First. Access the full suite of industry-standard editing tools with the new low-cost Media Composer. Or gain real-time collaboration, MediaCentral integration, and additional dialog search, finishing, and newsroom tools with Media Composer | Ultimate. Don’t have the footage or effects you need? Shop the in-app Avid Marketplace—no shoes, shirt, or pants required. Preview stock footage in context with your project. Purchase plug-ins, software options, and hardware to extend your capabilities. You’ll even find training material to help advance your editing skills. Need to work together as a team in a post-production, news, or other media environment? Media Composer | Ultimate (formerly Media Composer) provides all the same editing tools as Media Composer, plus extended workflows for real-time collaboration.